SAP WebIDE: Timeout errors if you deploy to ABAP repository? I want to share two issues I had deploying a SAPUI5 application to a ABAP repository with SAP WebIDE. 1. Deploy images timeout error. If you have something similar to the following screenshot and it appeas while you deploy an image, the problem could be that the ABAP repository doesn’t have enouth resources to create the mime object on 30 seconds ( default timeout ). 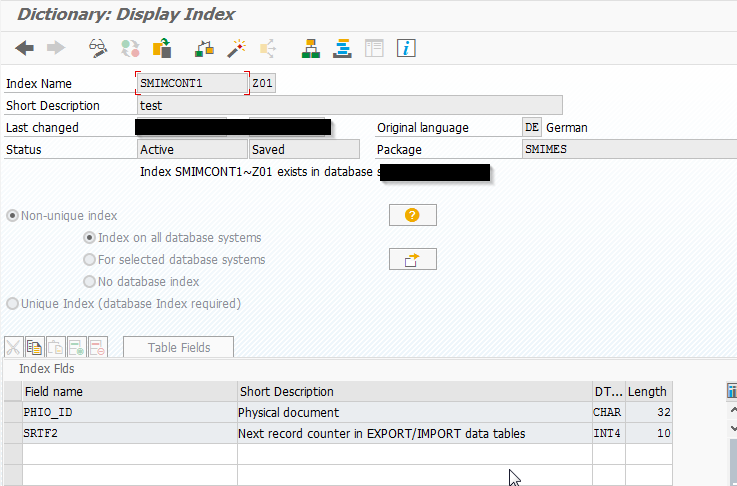 So the solution for that from SAP was to create an index in the table SMIMCONT1 for the fields PHIO_ID + SRTF2. So with that index the mime object creation process will be much faster as it takes most of the time looking on that table.